School of Information Sciences students reside in nearly 40 states. SIS alumni work and live around the world, including in England, Iceland, and China. 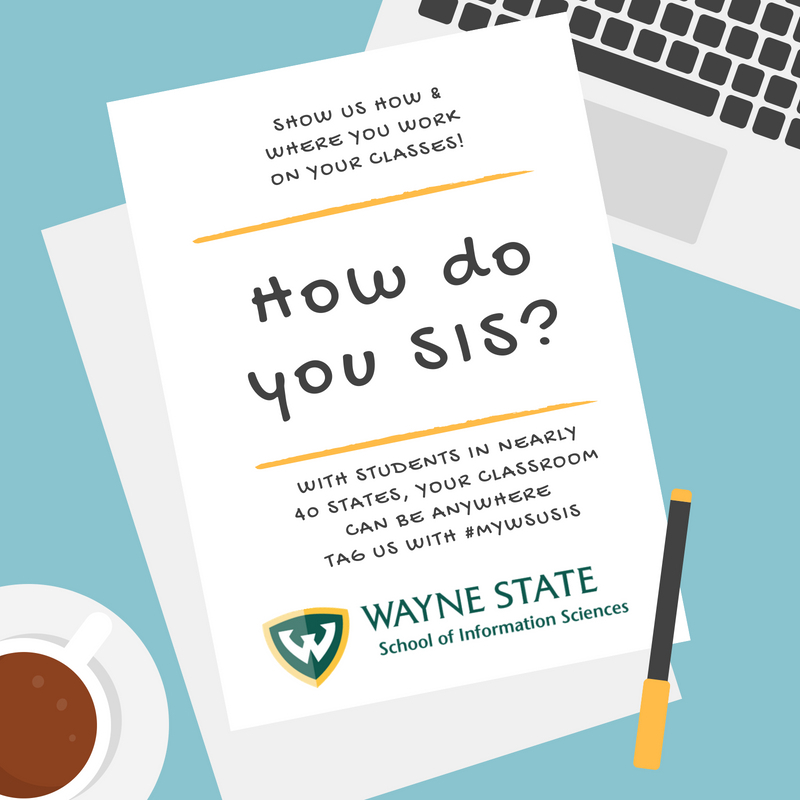 We're calling on SIS students, alumni, and faculty to share their SIS life by using the hashtag #mywsusis when posting SIS and LIS related content on social media. Whether you're studying at your kitchen table, having a student meeting on campus, or working the reference desk on the weekend, we want you to show the world how you SIS! We'll be sharing some of our favorite shared images on our Facebook and Twitter accounts so be sure to take a follow us.